Solomon Northup, a family man and hack driver in upstate New York, was kidnapped, whisked away from his home, and sold into slavery. His remarkable account of the epic journey from free man of color to slave to free man again is even more astonishing because it was written entirely from memory. As a slave, Northup was permitted neither pen nor paper, yet he was able to recall his ordeal in exacting detail. 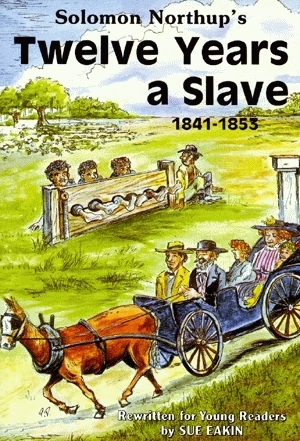 Considered one of the best firsthand accounts of the slavery experience, this autobiographical story, originally published in 1853, has been painstakingly rewritten for children aged eight through twelve. This story of perseverance presents to children a personal side of the often-detached history of slavery. Sue Eakin, who interpreted the story for a younger audience, saw her first copy of Solomon Northup’s Twelve Years a Slave: 1841-1853 when she was just twelve years old. Years later, as a graduate student at Louisiana State University, she chose the book as the topic for her thesis. Eakin, who passed away in 2009, was a professor of history at Louisiana State University in Alexandria. She spent more than four decades teaching Louisiana history, bringing a fresh approach to analysis of the state’s vibrant past. Eakin was also a co-author of Pelican’s Louisiana: The Land and Its People. 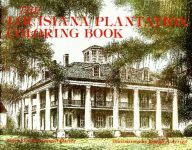 She resided in Bunkie, Louisiana, near the plantation where the events in Solomon Northrup’s tale took place. Authenticity without Contemporary Political Corrections!